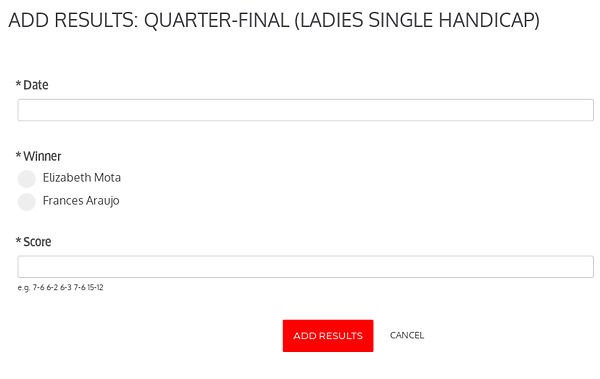 If you are entered in a tennis tournament, you can view the state of all the matches via the 'series page', and can also enter your results and see the next match you should play in the competition. Finally, click 'view tournament' to see the state of all the matches. 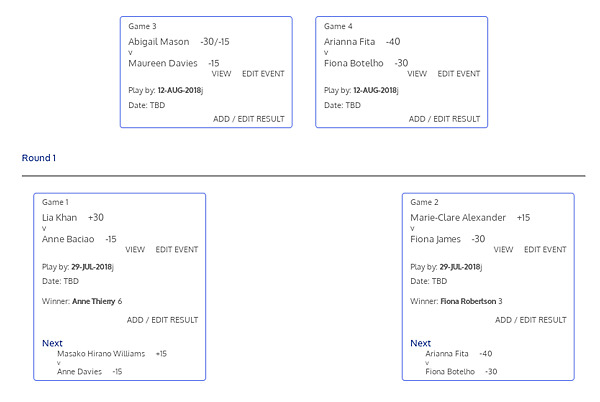 Should you make it to the final, you will have to wait for the tournament organiser to record the 'official' result.